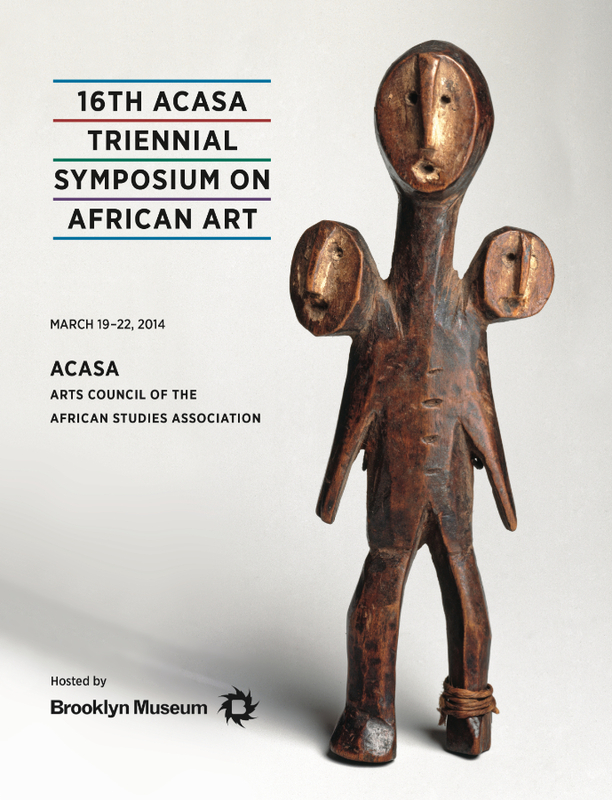 The 16th Triennial Symposium on African Art was held at the Brooklyn Museum from March 19 to March 22, 2014. The conference was organized by Kevin Dumouchelle, Triennial Chair, and the conference program was developed by Gary van Wyk, Program Chair. The 16th Triennial at Brooklyn considered the full range of topics related to the arts of Africa and the African Diaspora currently being addressed by ACASA members—from considerations of the archaeological and archival contexts of historical African art to examinations of emerging artistic practices on and off the continent. Like the accomplished Lega elder who once used a three-headed sakimatwemtwe figure, ACASA members looked to the future and the past, simultaneously. A Local Arrangements Committee assembled with the task of enhancing the symposium experience and ensuring a successful event. The members of this committee were: Yaelle Biro (Volunteer Coordinator), Dana Elmquist (Outreach Coordinator), Roger Arnold (Symposium Coordinator), Christa Clarke, Ed DeCarbo, Kate Ezra, Barbara Frank, Frederick Lamp, Gary van Wyk, Susan Vogel, Jerry Vogel. Learn more about the Brooklyn Museum, host for the Sixteenth ACASA Triennial Symposium, including its collections, exhibitions, and mission. For a full listing of symposium panels and roundtables, click here.